This first grouping of frames feature wider, flatter faces and are perfect for framing monumental works of art such as large maps, drawings or paintings. 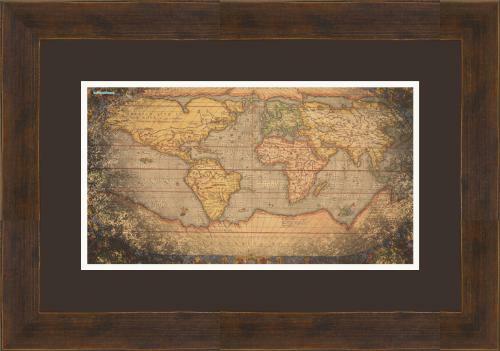 The weathered look of this wood frame ( 61903,Cocoa Brown) and its flat, wide face enhances the old world look of this vintage map. 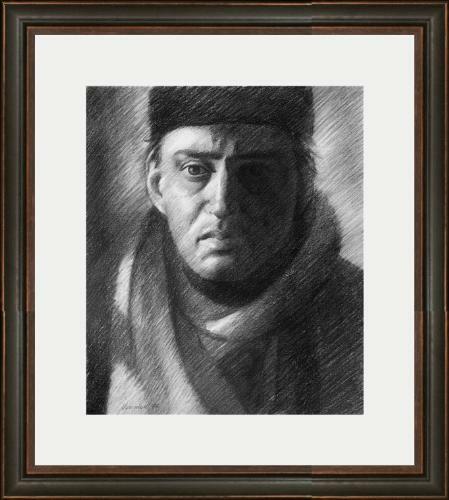 This graphite drawing on ivory colored paper gets a frame treatment of a double mat and a black frame with a gold leaf design (frame44541, Black with Gold Leaf). The black with gold leaf frame reminds us of a vintage frame, while the drawing is reminiscent of life drawings from world travelers. Secondly, the smaller, thinner, carved mouldings are perfect for small oil paintings and drawings. This graphite on paper drawing receives a simple off-white mat (8463, Spanish White) and a carved frame with a black/brown finish (62743Palladio- Black/Brown). 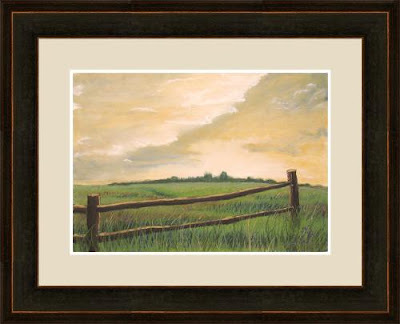 By keeping the mat simple and mimicking the colors of the drawing in the frame, we allow the piece to really stand out. This drawing on paper received an old world look which was achieved by using a double mat (because the paper is ivory, placing the darker mat color on top really makes the drawing ‘pop’) and Cocoa Brown frame. 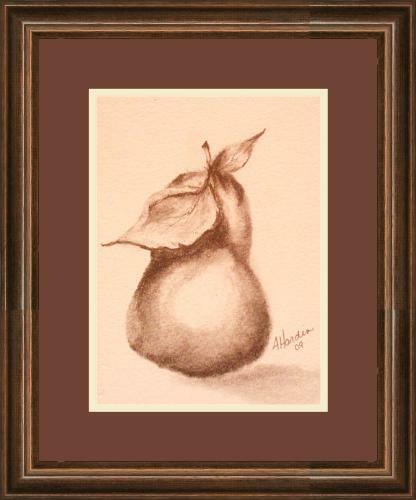 We chose a brown frame for this drawing because of the warmness of the paper and pencil; a black frame would have been too dark for such a warm piece. 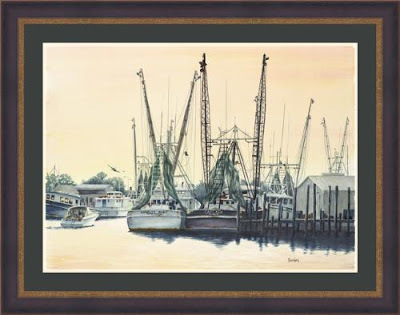 The Palladio collection of frames can also be used to frame canvas on thin stretcher bars or canvas that is mounted on board. This painting is framed with frame 62943,Black/Brown. Unlike the other two Black/Brown frames in this collection, this frame features a wide face AND a carved design. It is the best of both worlds. The colors and textures in this painting are enhanced by the colors and distressed look of this Palladio moulding. The light colored mat (Soapstone,5770) keeps the overall look from getting too dark. 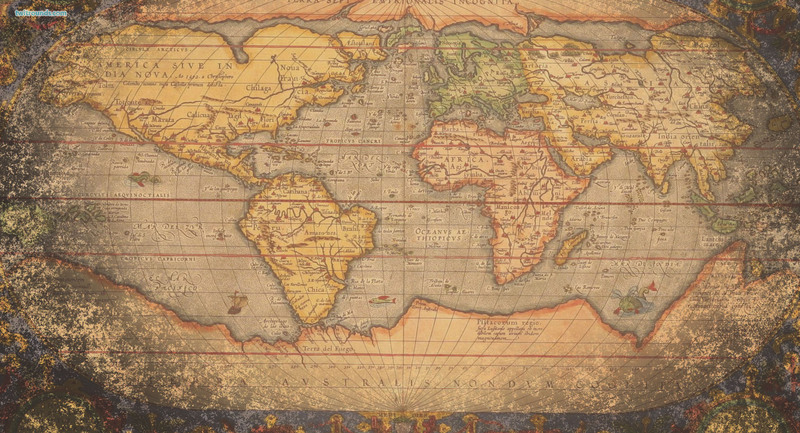 The Old World look is presently so popular in home design. Does it currently fit your home décor style or not?